Two more state parks checked off the list as visited. 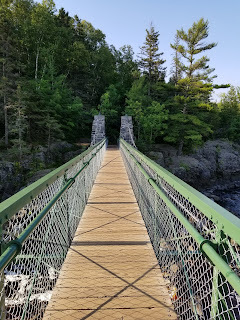 Hike in Jay Cooke: first half--gorgeous, rocky, rooty, packed dirt, shady, river view. Second half: grassy (at times very long), swampy, buggy, did I mention grassy? Very grassy. Hike in Banning: buggy, lots of off-shoots to the river, ruins of the quarry, dark places, mostly flat and packed dirt. 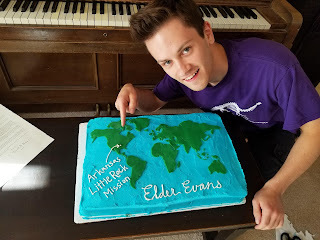 My baby is going to serve a mission. The letter came surprisingly on a Monday. And he's going to Little Rock, Arkansas! The bestest thing in my mind is that my sister lives in this mission! If Matt serves in Memphis, Jenni might be able to see him! We don't know much about Arkansas, but Jim has been looking up pictures and it seems to be a scenic state with several national parks and many state parks. We like that kind of thing. It may get really hot (which Matt did not want) but at least there will be winters to cool him off. He'll get good food and friendly people. And he won't have to struggle through learning a language. We can send him packages without worrying if he will get them or if they will take forever to get to him. In planning for this trip, Jim and I looked at places to hike. We chose several, and ended up doing none of them. We did do this 3 miler (round trip) up to Magnetic Rock. 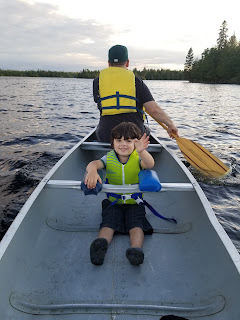 We went up north for a few days for a sibling reunion (there were some who did not go, so it wasn't everybody). Jake and Mike rented cabins for us on Poplar Lake near the Boundary Waters. What joy to get away from work for a week and just do stuff I want to do. Like get up at 6 AM and make a time-intensive breakfast, which I never do at home, unless it's Christmas or Father's day, and then it's the standard eggs, sausage, bacon, cinnamon rolls, and juice. No, this time, I planned ahead. I printed recipes for breakfasts I wanted to try. 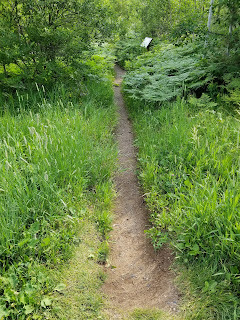 Our cabins had full kitchens, although they did not come with a cast iron skillet or an instant pot, both of which I based my breakfasts on and both of which I brought up myself for use. I made Instant Pot apple dumplings, peach oatmeal, skillet hash, and berry biscuit dumplings. And eggs, sausage and bacon, because we like protein.